The loss of pets can be devastating with many people finding it difficult to get through the grieving process. Dogs, cats, and other pets are often regarded a part of the family with most people wishing to have a burial performed. When looking for an animal cemetery it is important to take a look at the alternatives and ensure that the best possible decisions are made. Pet owners in a state of grief are largely unaware of the choices that are available when it comes to the memorial of animals. It does not matter whether the loss that is experienced occurs abruptly or whether an animal has been ill over a period of time. Some time should be taken for a rational decision and not one that is solely based on emotional thinking. A popular option is a cremation that allows for the placement of ashes in a beautiful box or holder. An alternative is to have a burial performed and a plaque erected in a designated area in memory of the pet. When searching for a cemetery, it is important to determine whether regulations prohibit certain sizes of animals. Cemeteries for animals offer designated plots for such purposes. In many residencies, burying pets at home may be restricted and therefore it is a good idea to search for cemeteries. These facilities are largely available in every state offering a number of options for all pet owners. The facilities that are available for such burials should provide maintenance. It is important to ensure that a clean environment is provided and that the facility adheres to specific standards of service. Completing research into the condition is required. Services that are often included in the burial of pets include the collection of the body. 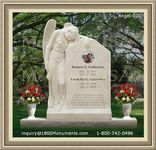 The process will include the selection of a memorial stone or plaque to aid in representing and honoring the memory of beloved companions. Research into these alternatives can aid in making the best possible choices for individual needs.